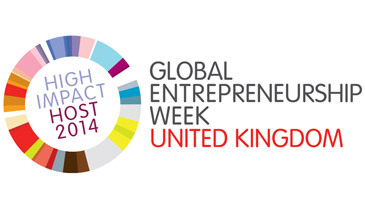 London South Bank University (LSBU) has been awarded a High Impact award in recognition of its involvement in this year's Global Entrepreneurship Week (GEW), an international campaign that celebrates enterprise and encourages the public to explore its entrepreneurial potential. The award was conferred by GEW organisers Youth Business International, a charitable organisation that supports young entrepreneurs in over 40 countries. As an enterprise-driven civic university, LSBU hosted a range of successful events and workshops from 17 to 23 November. "GEW 2014 was a great success and we are proud to be recognised for our work in engaging and inspiring our students and staff. This award is further proof of our commitment to embedding enterprise in everything we do," says Linsey Cole, Head of Student Enterprise at LSBU. Activities included business-themed student competitions, inspirational talks, a pop up market and social media makeover workshops for LSBU staff. Events were primarily held at the Clarence Centre for Enterprise and Innovation. "All of our GEW events were well-attended and it was great to see how driven our students are when it comes to gaining entrepreneurial insights and developing skills," comments Linsey. Student Enterprise hosted two Start & Evolve talks where successful entrepreneurs shared tips on freelancing and networking, as well an Intellectual Property workshop on patents. The team also organised a pop up market for student entrepreneurs and the annual Pitching Competition Live Finals, where students presented their business ideas for a live audience to win £500. Other events held during the week included a business-themed treasure hunt by student enterprise society South Bank Entrepreneurs and a talk by Peter Harrington, Director of SimVenture, to Business School students and staff.